A good manager is able to manage the work and the people who carry out the work. The less difficult part of the job is managing the work as it is measurable, predictable and, if something goes wrong, usually fairly logical to put right. People, on the other hand, provide quite different challenges as they are less predictable and not so easy to “put right” when things don’t happen the way you expected them to. Everyone has talent. It just needs to be discovered and developed. A good manager will take the time to find out what each person is going to be good at and will then help them develop. We all need boundaries. A good manager will agree what each person’s boundary of responsibility is, what decision making authority they each have and at what point they need to refer to you or (preferably) someone else. A micro-manager is someone who distrusts others as much as they distrust themselves. Avoid micro-managing as you will take away their self-confidence by displaying your own lack of confidence in yourself. A good manager will step back and develop the self-confidence of others by having confidence in them. Your job is to manage the individual, their development, their morale and motivation. A good manager will get that bit right and they will then do your work for you. If you are asked for advice and you always give it, then you are encouraging people to delegate their thinking to you. A good manager will often ask questions so that the individual will learn or will look to find out the answer themselves. Don’t look to blame. A good manager will see mistakes as opportunities to learn and improve. Might you need to pull back a little on the level of responsibility you have given someone? People like to think they are being developed. 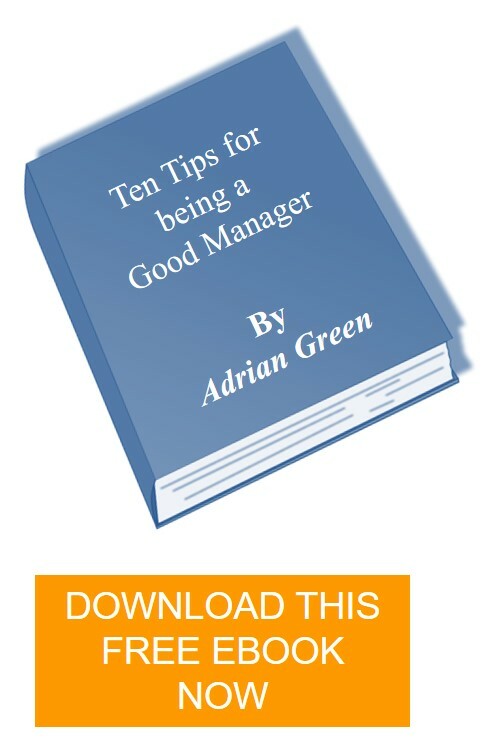 A good manager will seek to stretch each individual with challenging but achievable goals. Don’t always feel it has to be you. A good manager will encourage people to collaborate and support each other. Most organisations remunerate individually but expect people to work well in teams. A good manager will ensure people and teams are fairly rewarded appropriate to the work they carry out and the way they do it. People should not be treated the same. A good manager will see every person as a unique individual and respond to them as such.